* Prices include any applicable taxes. Longsleeve Hoodie included. Come out and run a race that directly supports the needy in Seattle! The Seattle Ghost Marathon, Half Marathon, and 50k has been proud to be a part of the Seattle Community for many years now. Proceeds from this race help ensure that NW Ultras can continue it’s mission of feeding the needy once a month, every month at Seattle’s Outdoor Meal Site. We also accept blanket donations during the race. These blankets are given out during the winter when NW Ultras feeds the needy. They really do make a difference. If that’s not reason enough to come run this race, it’s also the third race in the Seattle Quadzilla & Quadzuki. So come get your quad on. 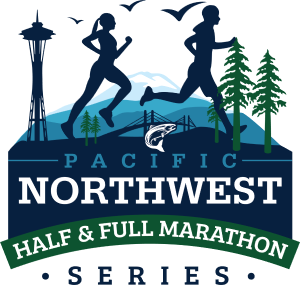 Seattle Ghost Marathon & Half Marathon are part of the Washington Full & Half Marathon series. Complete 4, 7, or 10 of the participating races in a given year and receive a medal celebrating your accomplishment at a medal race. Check here for a list of races participating in the half series. The certification for the Seattle Ghost expired in 2018. We are looking at making minor changes to the course and re-certifying the course as you read this. There are only a handful of parking spaces available at the Ferdinand Boat Launch, most (if not all) of which will be taken by volunteers/staff. There is plenty of on-street parking in the surrouding neighborhoods. Please plan on being dropped off, or having to walk a small distance. Take I-5 Exit 144 (I-90 East) and head east towards Bellevue/Spokane. After about .75 miles take exit 3 for Rainier Avenue South. Turn right onto Rainier Avenue South. In about 2 miles, turn left onto South Genesee Street. Stay on South Genesee Street for about 1 mile until you come upon 51st Avenue South. Take a right onto 51st Avenue South then an immediate left onto South Genesee Way. After about 0.5 miles turn right onto Lake Washington Boulevarde Street. In about a half mile Ferdinany Boat Launch will be on your left. We’re working on re-certifying the course at the moment. We’ll have more details for you later.